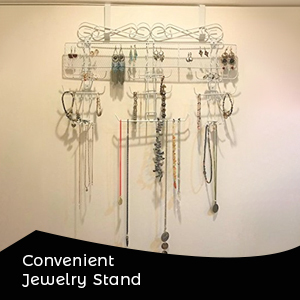 Convenient Jewelry Stand:This White Jewelry Hanger is easy to install and very adjustable to fit any jewelries. 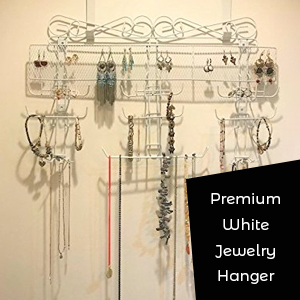 Sturdy, Lightweight Materials: This innovative Jewelry Hanger Organizer stand is made of lightweight, sturdy metal instead of inferior acrylic materials that help to minimize the risk of breakage. Beautiful Display: Whether you want to display a colorful collection or just a few select pieces, the Wall-Mounted Vintage Inspired Birdcage Jewelry Organizer is a great way to go. Unparalleled Organization: This earring and ring holder display is great not only for aesthetic purposes but for organization as well. Since, when it comes to preserving your jewelry collection, good organization is the main key. 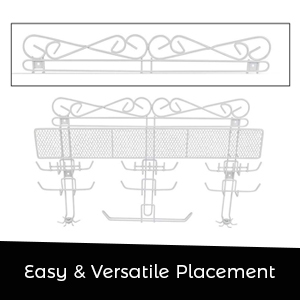 Easy & Versatile Placement: The Jewelry Organizer Hanger comes with branches and rows that are individually tiered to ensure that your jewelry won’t slip off. 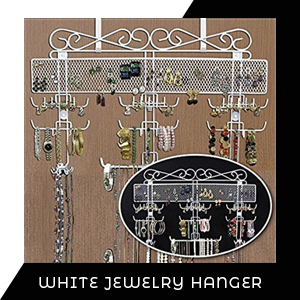 Unlike other jewelry holders, this Wall Jewelry Hanger is ideal for limited spaces or tabletops and can easily be packed up when not in use. 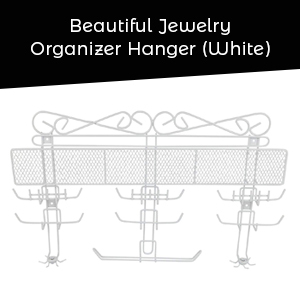 The Organizing Jewelry Valet is the ultimate hanging jewelry organizer, ready to store hundreds of jewelry pieces, keeping them tangle-free and ready for easy access. 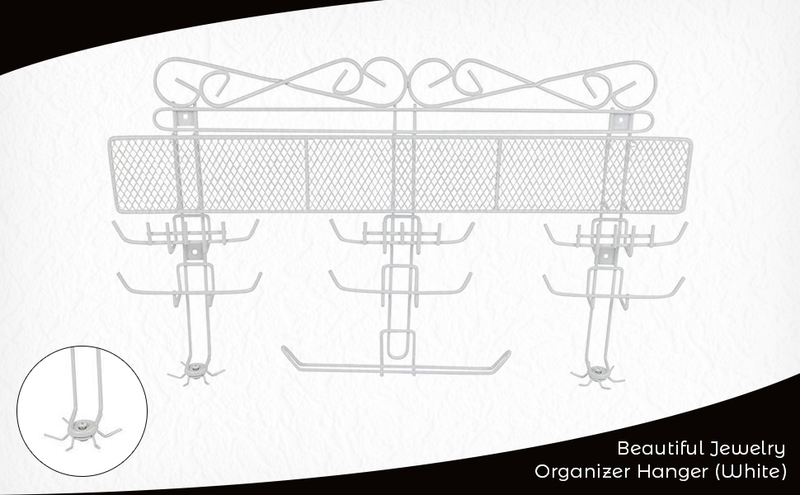 Made of coated wire, this over the door jewelry rack can be wall mounted or used over the door with the included hooks. Assembly level/degree of difficulty: Moderate. Easy to install an very adjustable to fit any jewelries. No Mismatching screws, all screws fit's perfectly. Strong Metal, don't blend so easily.